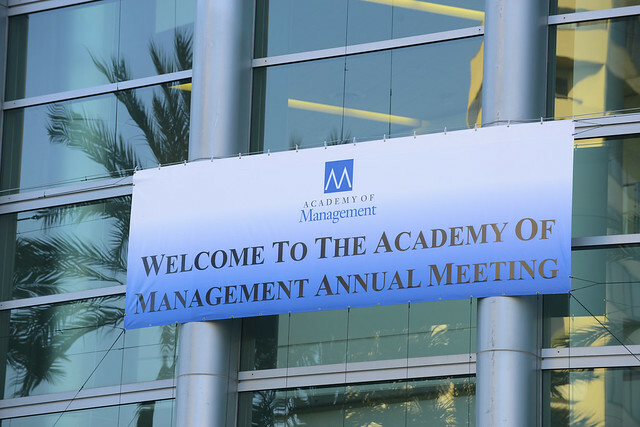 The Academy of Management Annual Meeting is the premier conference for more than 10,000 scholars and professionals in the scholarly management and organization space. The 77th Annual Meeting of the Academy of Management will be held August 4-8, in Atlanta, Georgia, USA. That definition highlights the dual nature of interfaces. Interfaces establish boundaries that differentiate and separate; they mark a space where insiders can jointly define an organization's mission, develop an organizational identity, and participate in organizational activities. But interfaces also develop connections that facilitate communication, negotiation, and exchange across organizational boundaries. The early registration deadline is Thursday, July 6, 2017 midnight EST. For best available and immediate confirmation, please complete your registration online. The deadline for reservations is Thursday, July 6, 2017 midnight EST. For best available and immediate confirmation, please complete your registration online. Feeling burnt out at home? It could be all those work e-mails. Join your colleagues in Atlanta to re-connect.